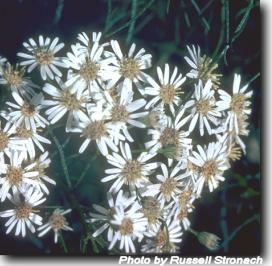 Small stalked white daisy flowers in flat topped tufts at the ends of branches. Shrub with slender, erect branches. Found in soaks and wet places, lowland to montane. For best results fresh seed should be used. Surface sow or lightly cover.